While coming to school last year before the tank, we’d carry water from home. We no longer do that because the tank has enough water for drinking, cleaning, and planting the trees. 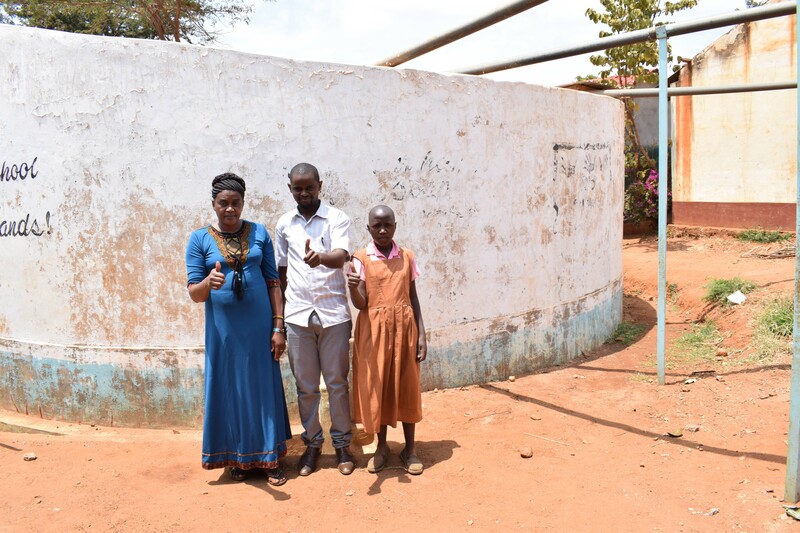 A year ago, generous donors helped build a rainwater harvesting tank and latrines for the Maiani Primary School in Western Kenya. Because of these gifts and the contributions of our monthly donors, our partners are able to visit project sites throughout the year, strengthening relationships with communities and evaluating the actual water project. These consistent visits allow us learn vital lessons and hear amazing stories – we’re excited to share this one from our partners Titus Mbithi and Joe Kioko with you. Students attending Maiani Primary School are no longer required to carry water from home every morning. 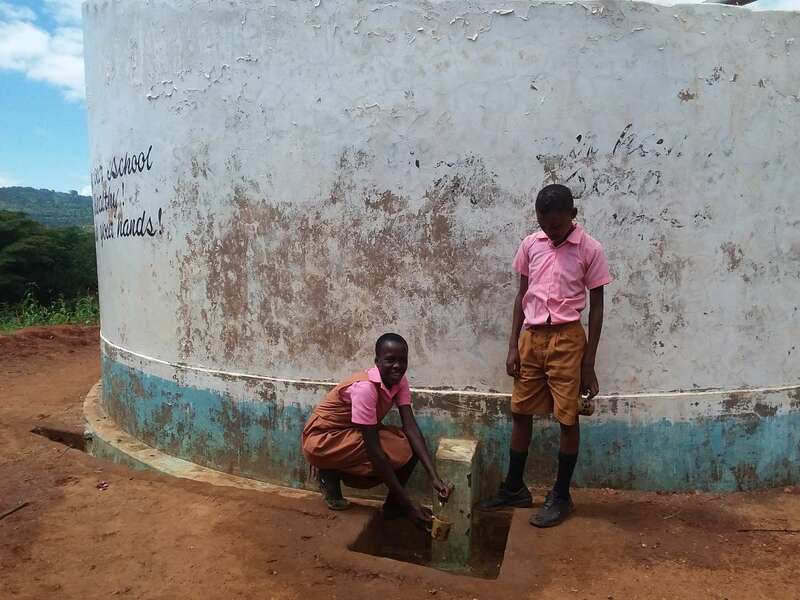 The tank built last year provides enough clean drinking water for both themselves and their teachers. The school has begun a tree nursery because there’s even enough water to meet the needs of saplings. We met Headteacher Elizabeth Muli at the tank to talk about how it’s impacted her and her students’ lives over the past year. She said “I can be sure my pupils and teachers have enough clean drinking water.” She continued to say that there’s even enough for parents to use when they hold their meetings there. We met some happy students during our second quarter monitoring visit in June. 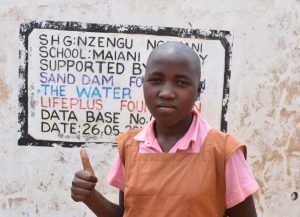 Headteacher Muli is happy with how her students and staff no longer have to worry where their water is going to come from. Since they have such a large tank, though, she asked whether or not there was a way to add even more gutters to the system so the tank would fill faster. This is something we can continue to discuss with her and the students’ parents; whether or not there is enough clean roofing to feed another gutter. Field Officer Titus Mbithi gives a thumbs up; this tank has been greatly benefiting Maiani Primary School. Headteacher Muli, Mumo, and their peers are so grateful for the positive impact this clean water has had on their daily lives. When you invest in The Water Project, you're investing in people like Mumo Musyoki. Your gifts help us reach more communities with the gift of clean, safe water. And every drop helps unlock potential.